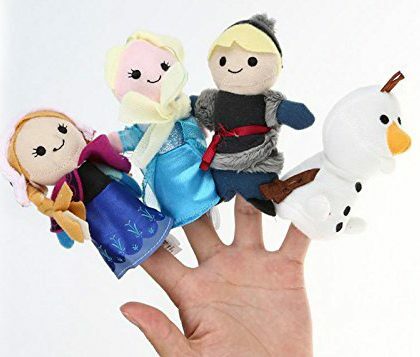 Frozen Finger Puppets Only $11.83 + FREE Shipping! You are here: Home / Great Deals / Amazon Deals / Frozen Finger Puppets Only $11.83 + FREE Shipping! I have a GREAT stocking stuffer idea for all of you with Frozen fans at home! Grab these super cute Frozen Finger Puppets for just $11.83 + FREE shipping! That makes each puppet just $2.95! My daughter saw these and now she REALLY wants them! These are a great way for kids to act out their favorite movie! My Frozen fan daughter would love this! There are a ton of Frozen fans out there – it’s quite a phenomenon! I hope she enjoys them!